You cannot imagine what your Gluteus maximus is going through every single day! This muscle is responsible for the most part of your everyday movement and you might not even know it. Sedentary life has put the biggest muscle of the human body idle, thus burdening other muscles, causing multiple problems, both functional and aesthetically. 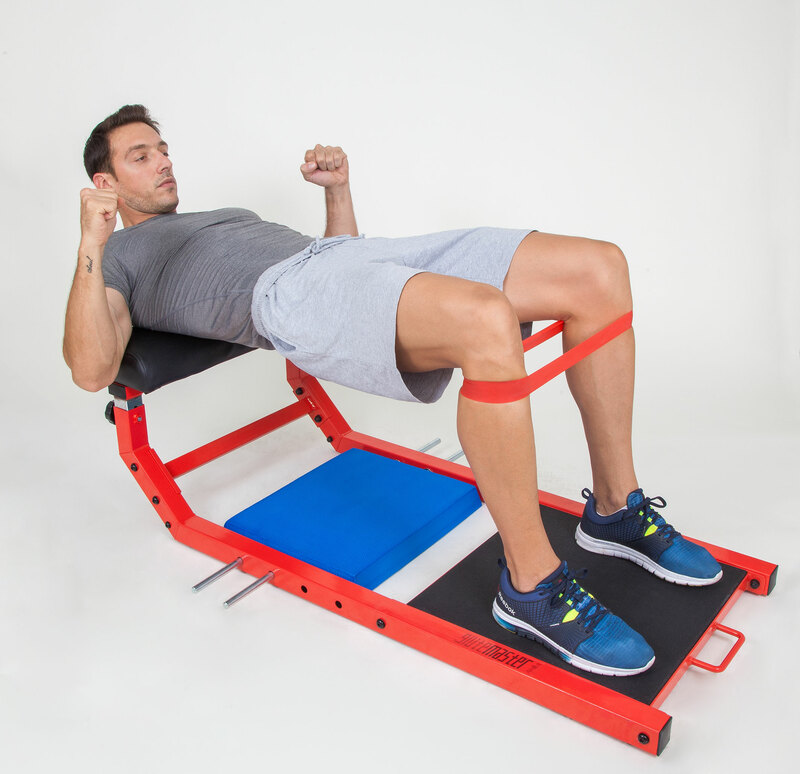 Enjoy workout without limits and without the risk of injury. 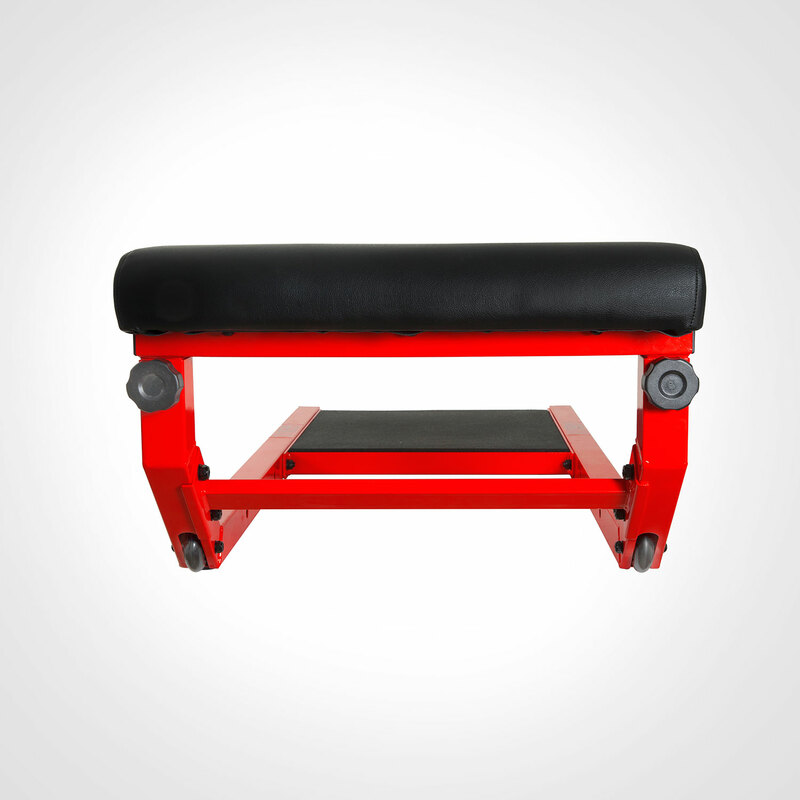 The thick and durable leather pillow, minimizes the risk of injury, while the rest of the construction is preventing any improvisation (such as using a bench or a step). 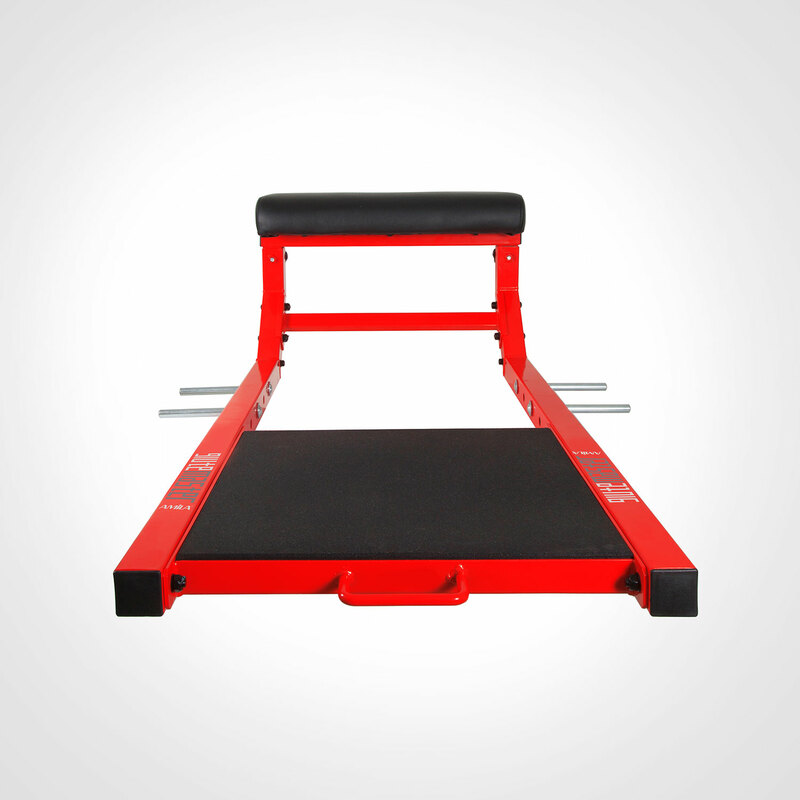 It is an excellent workout tool that can be placed anywhere. Easily stored, by putting it simply upright, resting it on a wall, hanging it from a hook, inside a wardrobe or in your small warehouse. It can be combined with other AMILA fitness products – such as AMILA resistance bands or AMILA free weights or with another fitness philosophy. Free weights can be used separately or combined for even greater results. Only AMILA’s Glute Master can be tailored to the height of each trainee, maximizing the benefits of exercise, making the training reachable from small children to big athletes. 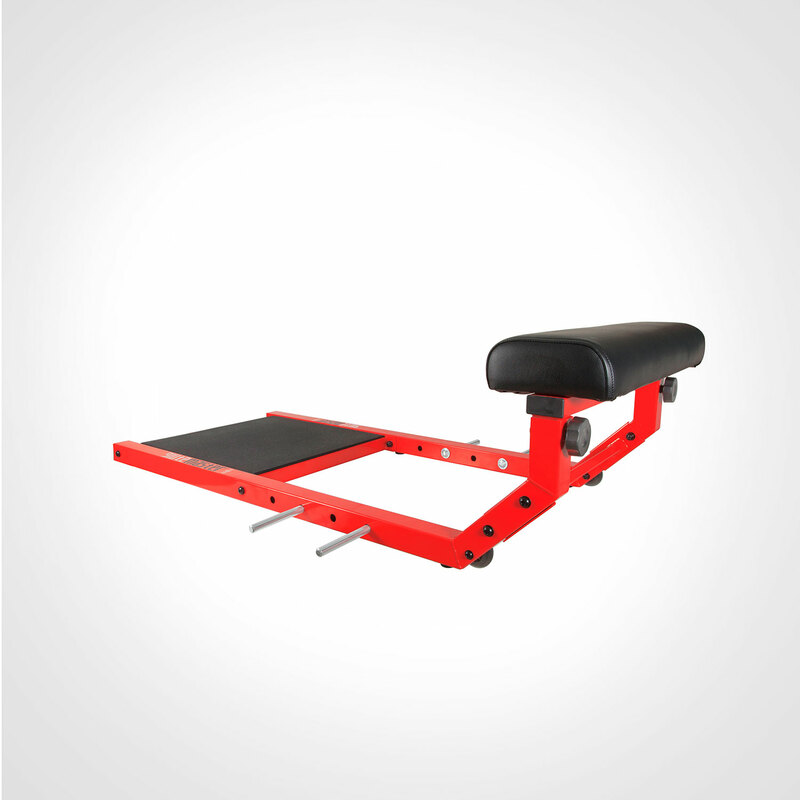 You can perform a variety of exercises with low cost, avoiding buying specialized and bulky equipment that could not be easily stored, easily moved or easily operated. 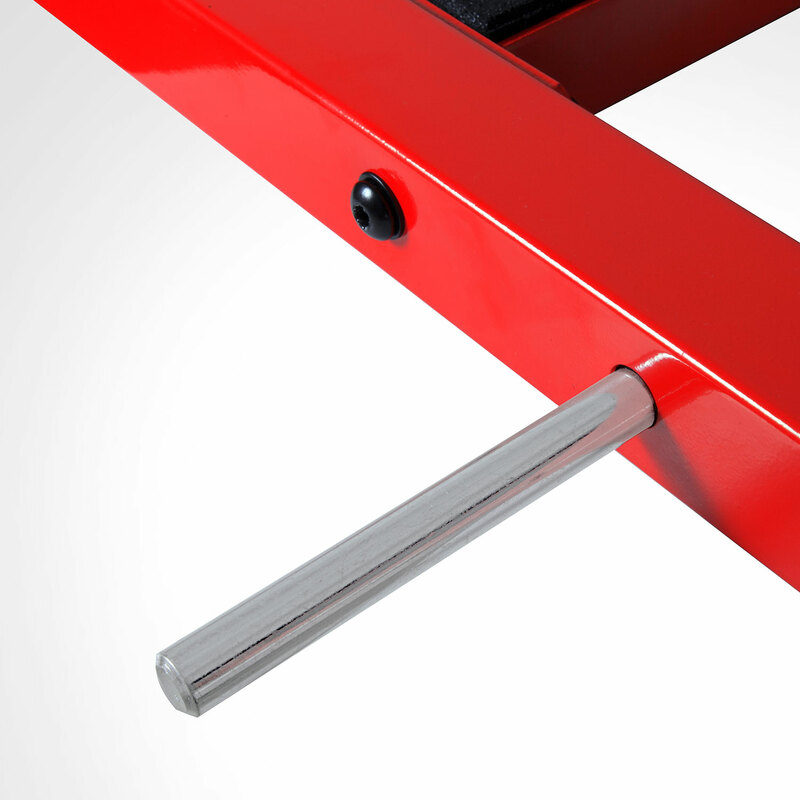 It does not include moving parts and features an extremely sturdy frame (5 x 5 cm 2.5 mm thick beams and high-pressure rubber feet) making it particularly durable in the long run. 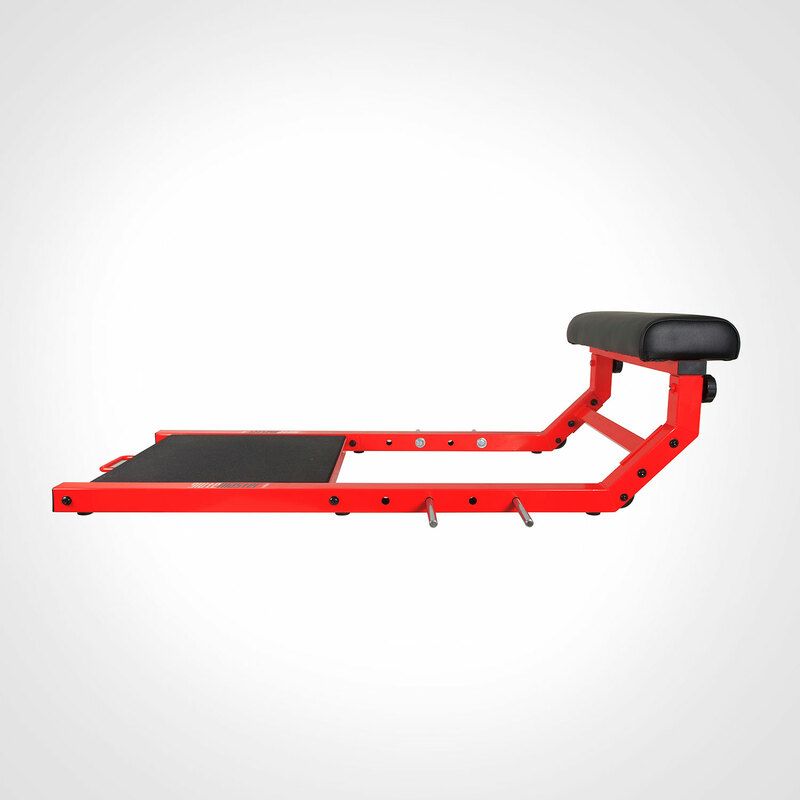 It does not include moving parts (with the exception of transport wheels) and has an extremely sturdy frame (5x5cm thick 2.5mm thick and high-pressure rubber flooring), making it particularly stable and durable in the long run. 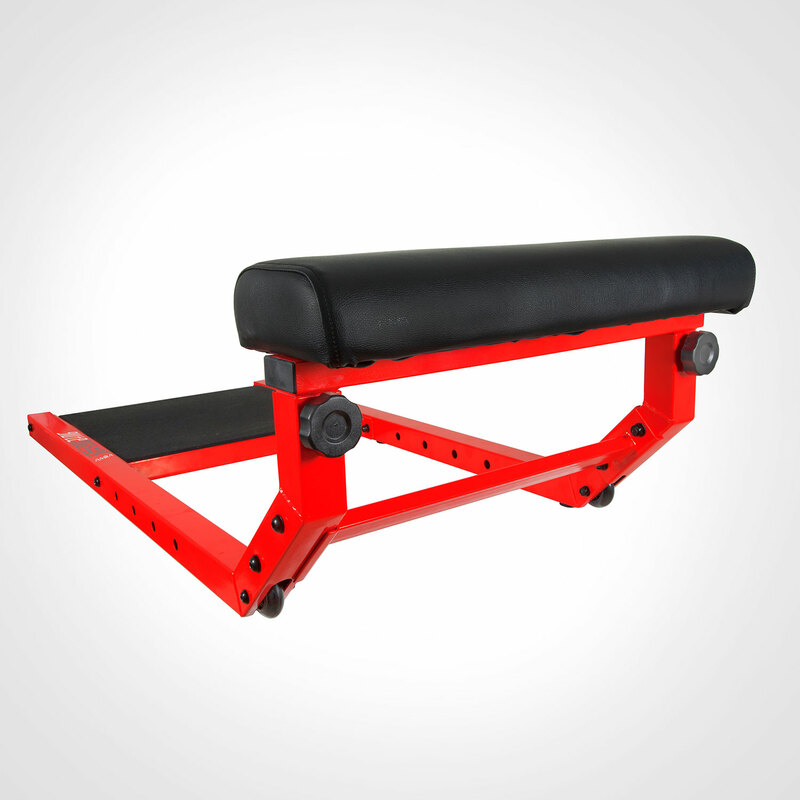 The high-quality wheels and handle allow easy transportation and handling, while the finest finish, with its rich red color, makes it stand out wherever it is. 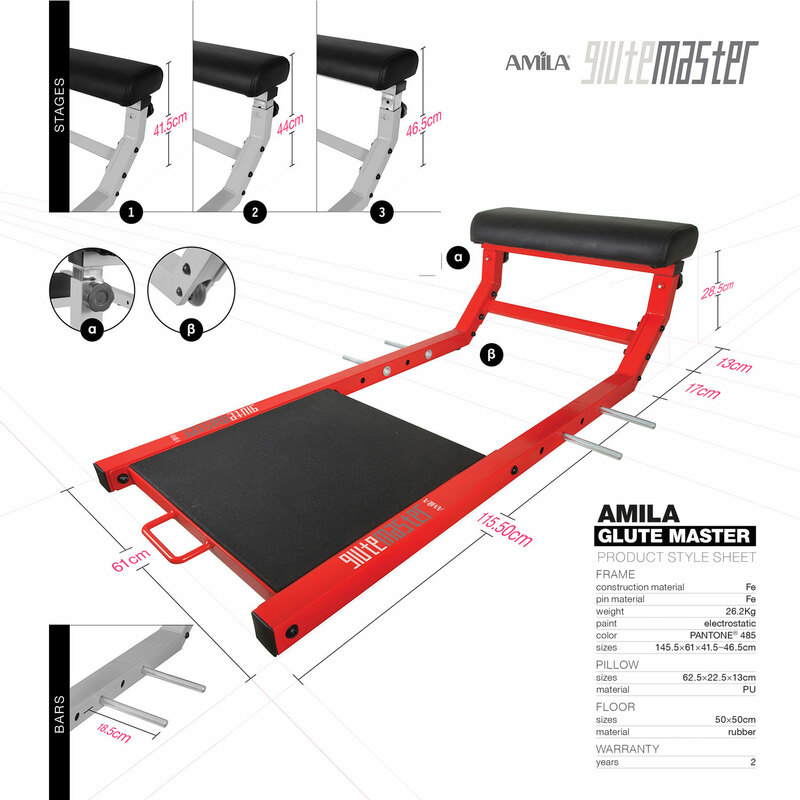 Only AMILA’s GluteMaster has the ability to adjust to the height of each trainee (at 41, 44 and 46cm respectively), earning the optimal hip pushing point. It can train people at all levels, from young children to big athletes. 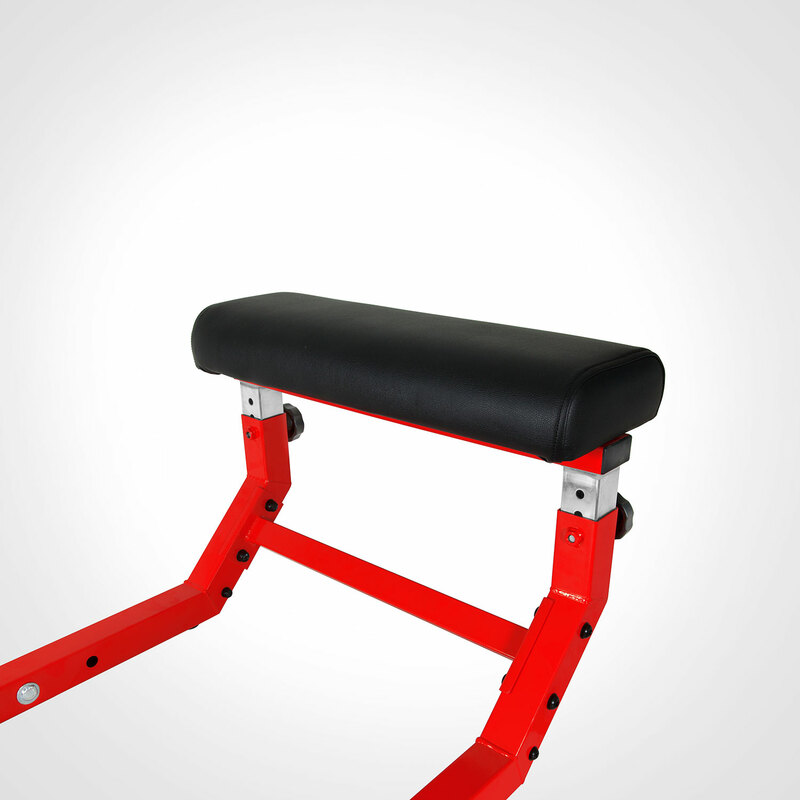 The thick and durable leather pillow minimizes the risk of injury, while the rest of the construction prevents any improvisation (such as bench or step). 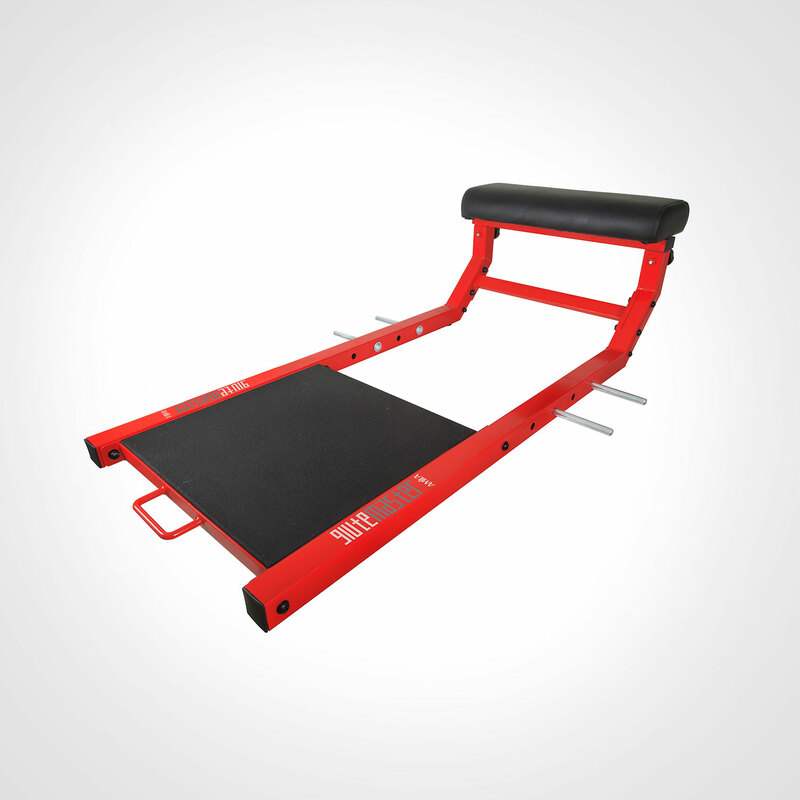 The special detachable pins allow the movement to be stretched against elastic strength so that you can achieve an incredible gluteal workout without the requirements of free weights. 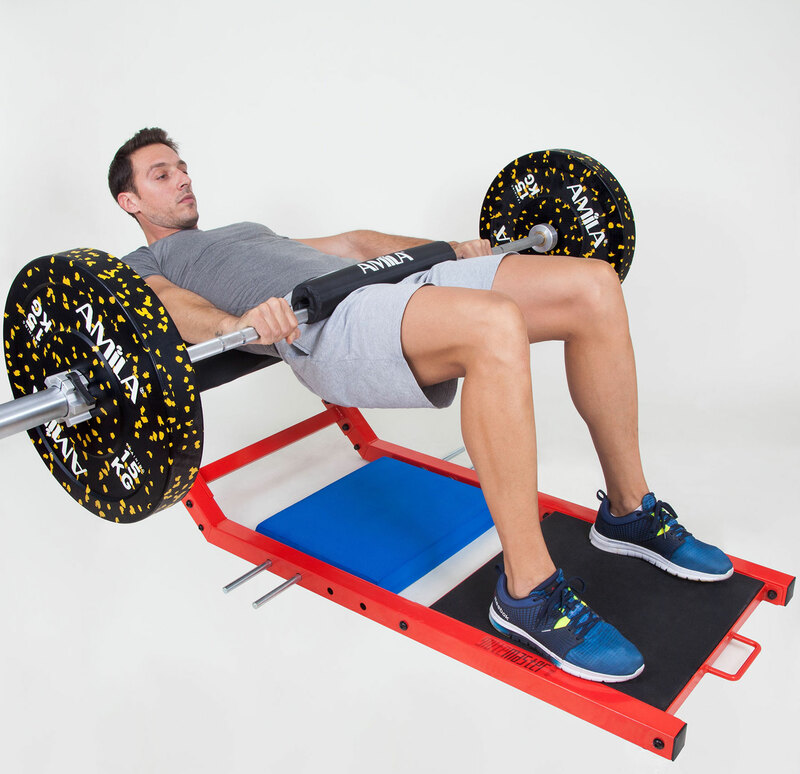 Free weights, of course, can be used autonomously or in combination for even greater results. 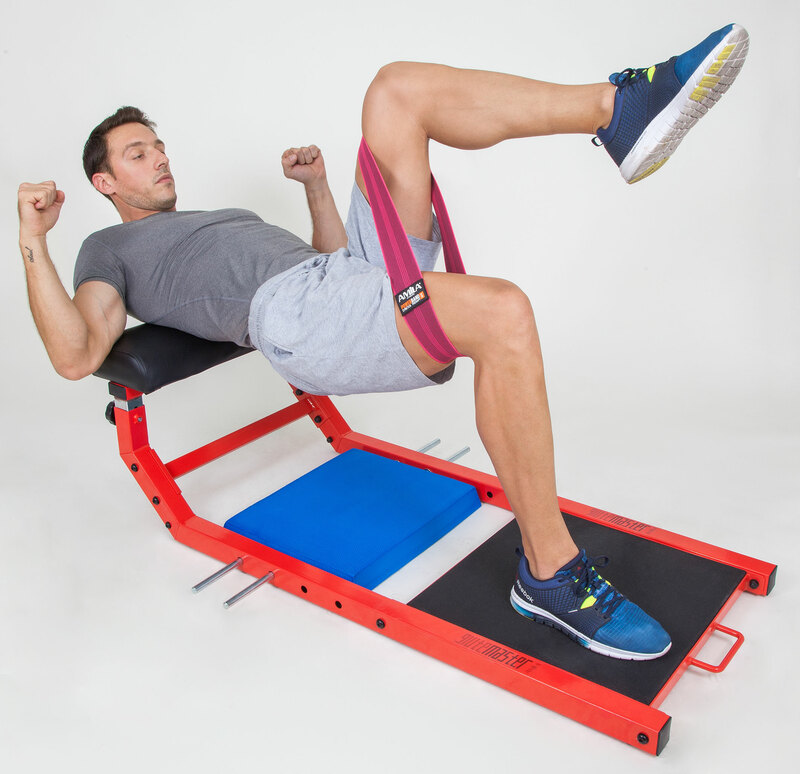 The results of the National Strength & Conditioning Association (NSCA) survey of a 6-week training program conducted by teenage athletes with a gluteal fitness machine (corresponding to AMILA GluteMaster) against front squat were published in the journal The Journal of Strength & Conditioning Research. Before and after workout with GluteMaster and Front Squat, the test subjects were exercised in the following: vertical and horizontal jump, 10 and 20 meters respectively, isometric mid-thigh traction. Significant improvements in road acceleration, horizontal jump and isometric force of the mid-thigh were observed. It is an excellent workout tool that can be placed anywhere, whether for home use or for a gym, saving space and expenses that you may have wasted in heavy equipment. When not in use, it can move comfortably (with the wheels) anywhere, stored upright, resting on a wall, hung it from a hook, inside a closet or in your small warehouse. Are you interested in changing your training? ELDICO SPORT SA, is a company with 40 years of experience, a pioneer in professional and amateur sport, with strong brands, innovative proposals, flexible purchasing solutions and the largest stock of products and spare parts, ideal solutions for camping and recreation and vision for continuous development, guarantees the establishment of strong partnerships.